Last week’s episode of “The Flash” provided some much-needed light in the dark and it was wonderful. Had I known it’s because they would attempt to rip my heart out of my chest with the ending of the penultimate episode, I might have been inclined to keep a happy Iris and an amnesiac Barry forever. “Infantino Street” is easily one of the best episodes of “The Flash” this season and probably the best penultimate episode leading into a finale. It was swiftly paced and had plenty of suspense, tender and heartbreaking moments, surprising lightness, and an ending that was so well-executed and heart-stopping in its sense of finality. “Make the plan, execute the plan. Expect the plan to go off the rails…. Throw away the plan.” This is honestly “The Flash” in a nutshell, except for the fact that this season hasn’t had them actively making any plan, but hoping something falls from the sky and into their laps. With only twenty four hours left until Iris is to die, Barry and Cisco attempt to convince Lyla Diggle to hand over the Dominator technology locked up at ARGUS to power the speed force bazooka. So instead of just sitting around, Barry (finally!) decides to be a little more active and goes back in time to pick up Captain Cold to help him steal the alien tech. While all this is going down, Iris and Joe head over to Earth-2 to hide out without telling Barry so that Savitar stays in the dark about their location and Iris prepares for her death. Even though the episode is fantastic, there are still moments that are a bit questionable, so I’ll get these out of the way first. Why would HR tell Barry at all where Iris was? It didn’t matter that it was actually Savitar, HR knew that saying anything to Barry meant that Savitar would know as well and he had one job, and that was to not utter a word. I know that they’re trying to get him to the point where he willingly tries to make up for his mistake by probably sacrificing himself or something in Iris’ place, but it does lead back to the argument about his ultimate significance to the season apart from that. Is Savitar counting on him to screw up? Also, why, right when Barry is to go to Infantino Street, does he decide that Cisco needs to go find Killer Frost? I understand that Cisco is emotionally invested in getting his best friend back, as he should be, but her life wasn’t in danger at the time and Iris only had minutes to live. 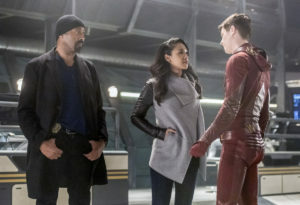 With Wally out of commission, it would make sense to have Cisco go with Barry and then track Killer Frost down afterward. They needed all hands on deck and deciding now is the time to go fight Killer Frost after having let her walk out of STAR Labs last episode was a bit of an odd choice given the circumstances. And they essentially put all of their confidence in a bazooka that wasn’t guaranteed to work so a backup plan (minus Barry’s knowledge about it) would have been logical, but alas. It also still bothers me that we never really had anyone ask how Iris was doing with her looming death approaching. There were a couple of episodes that allowed her to voice fear earlier on, but it feels like it’s been ages since then. Why was no one comforting her? Once again, her goodbye scenes with Barry and Joe are of her trying to reassure them. And I get it. She understands that death is much harder on those left behind, but it’s a criticism of the overall writing and pacing of this storyline that it deprived us of some proper emotional moments for her in terms of her death, most especially these last few episodes. The lack of active planning allowed the team to become far too much like pawns. They were sitting ducks just waiting for something to come up in many instances when they could have had Iris research (she is a journalist, and the show struggles with this aspect), had Cisco vibe Savitar’s location with one of Caitlin’s old items, etc. Had “The Flash” not left everything until the very last second, we could have gotten more time for Iris to be more open about several things, her death and reveal of Savitar included, rather than having to watch her comfort the men in her life about her death instead of the other way around. With all of that said, the way Iris faced her death in this episode was full of dignity and a quiet acceptance. She knew the stakes and still chose to go out of her way to leave something behind. She reminisces with her father, fondly recalling happy memories full of rich history (this scene was amazing and so moving), and leaves Barry a video message with her vows. Savitar shows up to kidnap her and she voluntarily goes with him so that he won’t kill her family. It’s admirable, brave, and selfless. People often look past Iris’ emotional strength, use of rationale and her commanding presence when the need calls for it at STAR Labs. These are all things that have always been a part of her character. She may not have gotten to express more about her doom, but she’s at least been an agent in dictating what can and can’t be done to save her life. Here, she doesn’t put up a big fight to stop Barry from working with Captain Cold and it’s indicative of the dire situation. 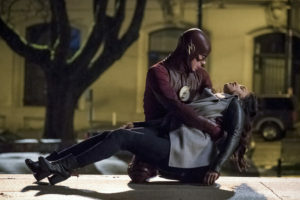 But ultimately, she was willing to die so that her family wouldn’t be hurt, willing to die instead of having Barry do unthinkable things, willing to put others before herself and this is what makes her the most selfless character on this damn show and more of a hero than many will ever give her credit for. Captain Cold’s reappearance was wonderful. He’s easily the most memorable of The Flash’s rogues and it’s a reminder that this scene-stealing villain is just what this show needs going into season four. He’s still willing to be a thief so long as it’s on his terms, and has a soft spot for both Barry and Iris. 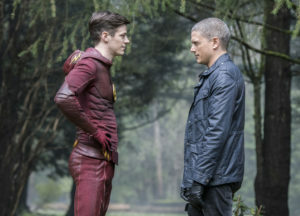 Wentworth Miller strikes just the right balance opposite Grant Gustin, with the right amount of snark and sass. 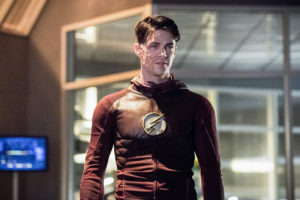 This episode highlighted the fact that Barry’s goodness is what makes him a hero (although it’s annoying that the writers couldn’t let him be one by saving Iris). That his overall goodness is exactly the opposite of his psycho time remnant (and perhaps the power of love as well) will be a key point in the finale. Barry can be a force to be reckoned with in terms of power and when the show allows him to be great, we’d better step aside. But as of right now, though, that big moment has yet to come and if “The Flash” wants to close the chapter on Barry Allen’s beginnings and have him move forward as a true hero, he really has to step up in the season finale and his inability to save Iris wasn’t a good start. This storyline culminated in a tragic way and the episode was gripping from the very first scene to its final moments. With the opening and closing song of choice being “Murder Song” by Aurora, the episode was filled with so much anguish and despair, but managed to balance it out with a glimmer of lightness. 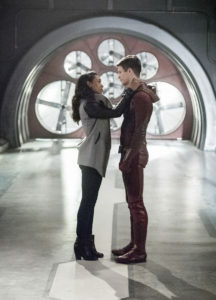 No matter what happens in the finale, however, the final moments of “Infantino Street” will forever remain one of the most emotional scenes of “The Flash.” We’ve unfortunately had to watch Iris’ death scene more often than can be counted this season, but when it finally came down to the actual moment, the scene still managed to be one filled with several beautifully executed moments. Between the slow motion, the sudden lack of sound as present events unfold, the video message of Iris reciting her vows to Barry and taking him as her husband, and the song playing in the background, it created an immensely effective and emotional atmosphere. This moment spoke of a hero’s failure, horror, love, of everything that could have been, and an endless abyss of hopelessness as Iris says, with an ironic finality, “until death do us part.” It was heart-stopping, gut-wrenching, and a bit shocking despite how many times we’d witnessed this exact event. As Iris falls, the weight has never felt more heavy, like the heart of the show has been removed and the lights have gone out. Candice Patton delivers a heartbreaking and wonderful performance this week and it’s because of her portrayal of Iris that her death scene struck such a nerve. All in all, “Infantino Street” was a powerhouse hour, showcasing many of the show’s good qualities and leaving us at the edge of our seats. Of all the penultimate episodes leading into the finale, this one is hands down the best and most moving one. There aren’t enough words to describe the impact it had, both as a suspenseful episode and an emotional one. Even Gustin’s Savitar managed to be a bit more menacing outside the suit in this episode, most especially during the Earth-2 scene when he comes to kidnap Iris. “The Flash” at least managed to ramp up the tension and follow up from last week’s episode in a great way. It proves that the show still has some momentum going into the final episode. Ultimately though, it’s the final scene that made for the most heart-pounding and impactful moment of the hour and it’s one that won’t be forgotten anytime soon. Next week, Iris lives (of course)! But I’m nervous/excited to see how they pull it off. I forgot to mention this, but yeah, HR totally used the face changer contraption. That is the only thing that makes sense at this point. “You’ve become the hero I always knew you could be. I’m gonna go get our girl back, alright?” A great moment between Wally and Barry. I thought I was emotionally ready for this episode. I was wrong. 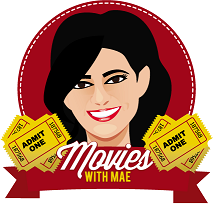 Full disclosure, I burst into tears at the end. “That’s smart, Snart.” Oh, Cisco, how I love you. He was so pleased with himself. Savitar keeps saying he needs Barry to “see” or “watch” Iris die, but does he ever confirm that she actually dies. It’s just shady. We’ve been seeing that scene from Barry’s perspective the whole time and I’m excited by the prospect of seeing a different one come next week. “True love. That’s your pitch?” Who knew Captain Cold was such a softie? Please invite him to the wedding. I think it would’ve been nice if Iris and Wally had had a nice scene together. The Joe and Iris scene was lovely. It was just so good and well-played and I’m grateful that we’ve gotten several Joe and Iris scenes this season. This needs to continue. “I switched rooms with Barry so I can sneak out of the window past curfew.” Bwah! I love all of this history that we’re getting. I’m greedy and need to know more. When Savitar comes up behind Iris, it was really creepy. Like stalker on the street creepy. Earth-2 Harry is my favorite version of Wells. Where the hell was Julian? I didn’t realize he was gone until midway through the episode. Why did Savitar hesitate when asked if he could actually go through with killing Iris? I just need to see Iris punching Savitar in the face. Just once, that’s all. He deserves it for all the pain and suffering he’s caused. Who the hell names their song “Murder Song?” I was creeped out and may never be able to listen to it if it comes on without thinking of this episode. This show ripped out my heart and stomped all over it. I’m still not over that last scene. Emotionally compromised doesn’t even begin cover it. Barry’s face when he realizes Iris has been taken by Savitar. And then his anguished face at the end while holding Iris to him and Iris’ immense sadness and heartbroken expression right before she dies. Excuse me, my tissues are waiting for me. "Infantino Street" was swiftly paced and had plenty of suspense, tender and heartbreaking moments, surprising lightness, and an ending that was so well-executed and heart-stopping in its sense of finality.